B&W Image of Manchester University's MEG computer. Verso metadata: "4. 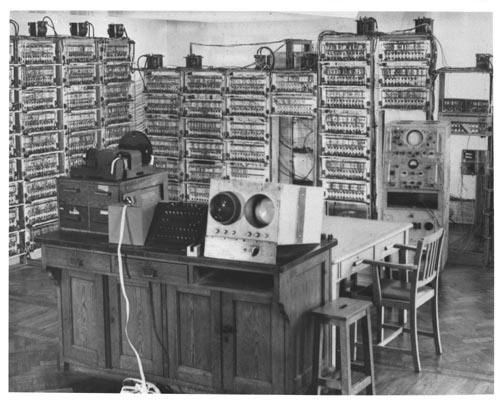 The University machine MEG in early 1954, when it was used to provide a limited computing service to seolected users who required a more powerful machine than the Ferranti Mk 1." "source D. Edwards" " Not Atlas.